A 15-year-old was stopped in his tracks by police while driving with his mother and suspected stolen items in the car. The white vehicle was stopped on Barnard Way in Cannock by Staffordshire Police. Police arrested two people from Willenhall, a 15-year-old boy on suspicion of theft and driving a vehicle without a licence or insurance and a 32-year-old woman on suspicion of theft. A spokesman for Staffordshire Police said: “Officers have arrested two people after they stopped a vehicle on Barnard Way, Cannock, at around 1.30pm yesterday. “A number of suspected stolen items were also recovered from the vehicle. 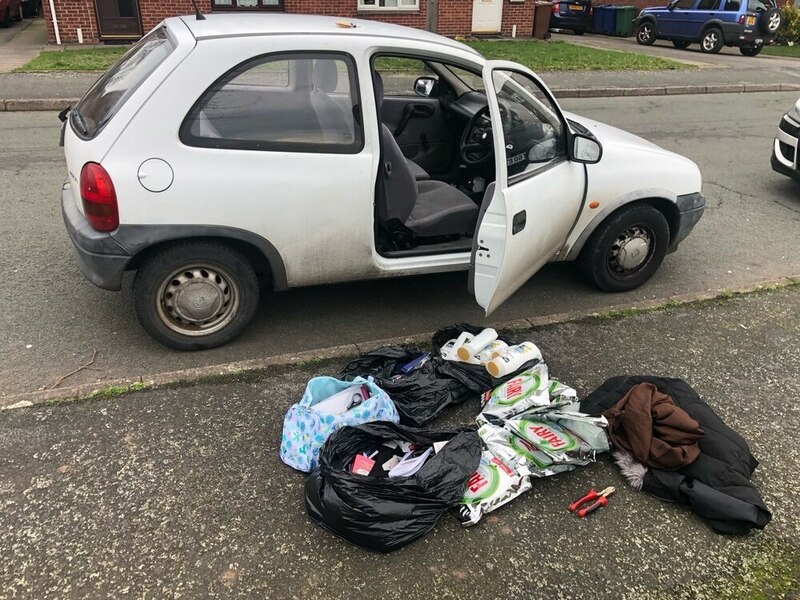 “A 32-year-old woman from Willenhall was arrested on suspicion of theft and a 15-year-old boy, also from Willenhall, was arrested on suspicion of theft and driving a vehicle without a licence or insurance. Meanwhile, the same officers caught a driver travelling at 104mph in Staffordshire within hours of the other offence. The driver was speeding on the A38 when the tactical support team’s camera clocked them. And just the day before the same tactical support team stopped 37 speeding drivers in Staffordshire, the worst driver was caught travelling at 109mph.